 Objective Musculoskeletal pain is associated with occupational physical activities and psychosocial risk factors. We evaluated the relative importance of work-related and psychological determinants of the number of ­anatomical sites affected by musculoskeletal pain in a cross-sectional survey. Methods The survey focused on musculoskeletal pain in six body regions (low-back, neck, shoulder, elbow, wrist–hand, and knee) among 224 nurses, 200 office workers and 140 postal clerks in Crete, Greece (response rate 95%). Information was collected about demographic characteristics, occupational physical load, psycho­social aspects of work, perceptions about the causes of pain, mental health, somatization, and experience of pain in the past 12 months. We used Poisson regression to assess associations of risk factors with the number of painful anatomical sites and explored interactions using classification and regression trees (CART). Results Two-thirds of the study sample reported pain in ≥2 body sites during the past 12 months, and in 23%, >3 sites were affected. The number of painful anatomical sites was strongly related to both physical load at work and somatization (with relative risks increased 5-fold or more for frequent and disabling multisite pain) and was also significantly associated with work-related psychosocial factors and beliefs about work causation. The CART analysis suggested that somatization was the leading determinant of the number of painful body sites. Conclusion In the population studied, pain at multiple anatomical sites was common and strongly associated with somatization, which may have a more important influence on multisite pain than pain that is limited to a single anatomical site.